The access card device is installed to better facilitate Club Members and to curb unauthorized entry at the GYM and both male and female changing room. The Club will implement the following procedures with effect from 1st January 2019 to enforce the “No Card No Service” policy. 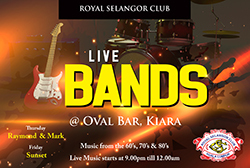 Please note that Members with Current RSC car stickers will be allowed to park their vehicle(s) at the basement car park, Plaza Putra, Dataran Merdeka from 5.00 pm till 7.00 am the next morning on a complimentary basis. Please be informed that the General Committee at its recent meeting has agreed to allow Member’s guest to purchase the debit card effective 1st October, 2016. 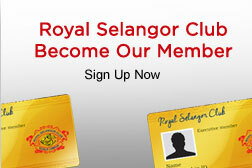 Royal Selangor Club © 2001 - . All rights reserved.